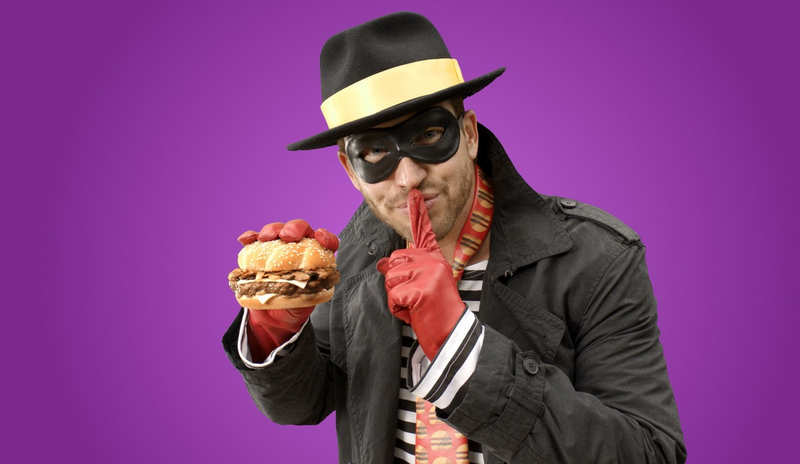 Breaking news from McDonald’s on Mashable yesterday: the Hamburglar is back and he’s pretty hot. Yes, the Hamburglar is a human man, he’s married, he’s got a human kid, he owns a house and he’s smokin’. Is this RULL weird to anyone else? The Hamburglar should look like Rocky Dennis. 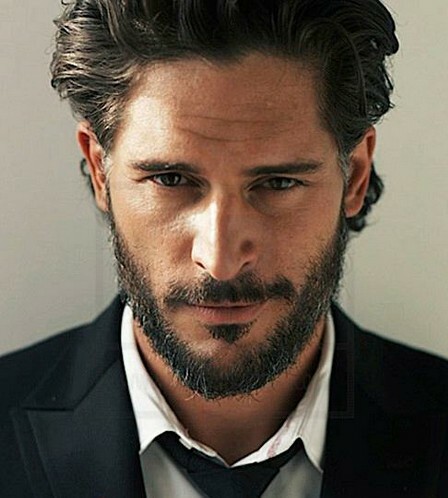 He should not look like Joe Manganiello. Ok, fine. I will suspend all of my disbelief about his beautiful looks. But…. he’s had some time to grow up. And he’s been raising a family in the ‘burbs. Ok, cool. I believe that people can change. Maybe he got arrested after a string of burger robberies. Maybe he’s out on parole. Maybe he got rehabbed in prison. Maybe he got his degree in jail. Worked in the kitchens. Found religion. I don’t know. Yet, the SECOND he hears that McDonald’s has created the new Sirloin Third Pound burger (on an ad playing on a radio WITH A CASSETTE PLAYER), he drops his unbelievably clean grill spatula. Get the mask out of storage. He’s got one more job to pull. McDonald’s is really perpetuating some ugly truths about the recidivism rate in this country. There’s another spot, too. Equally unfathomable. I would call this dude a sociopath. Going back to the quote from the Marketing VP. The Hamburglar has grown up. He’s matured. Um, clearly not. Clearly he hasn’t moved on AT ALL. His name is Hamilton B. Urglar (if Wikipedia is to be believed.) 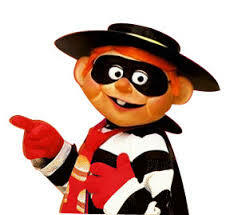 Why HOW would he be able to do anything but burgle hamburgers? He couldn’t become an account executive or a graphic designer or own a skateboard shop. It’s literally in his chemistry to steal hamburgers. I do not want to eat a sirloin triple burger. That Hamburglar sure looks tasty, though. Probably not the kind of excitement they were going for.